and other vehicles is what we're all about! Specialized Import Auto Service is the best automotive repair in Anchorage. Bring your import vehicle to the specialists. We service and repair all import makes and models, cars, trucks and SUV's. When you are in need of the type of import car maintenance Anchorage drivers trust for all of their automotive needs, there’s no better place than Specialized Import Auto Service! 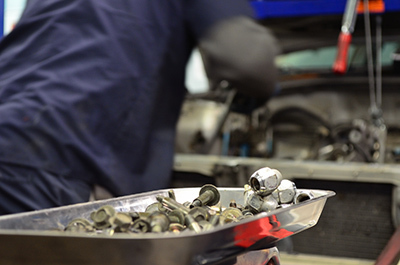 We offer high-quality automotive repair at an affordable price. We service all makes and models of imported automobile. From servicing your transmission to brake repair, our team of ASE Certified Master Technicians can do it all. Let us make sure your import car or SUV is running the way it should be to avoid extensive repairs in the future. Proper maintenance is important and we’d be glad to keep every part working the way it should so you don’t get stuck or stranded in the Alaska weather. Trust in our automotive repair in Anchorage! town (and help your friends move their stuff), or you love the feel of the highway under the wheels of your SUV, or, you're into off-road adventure, we've got the skills to take care of your vehicle! We love repairing and maintaining Toyotas, Subarus, Hondas, Mercedes, Nissan and the wide variety of imported SUV's on the market today. Come and see us in Anchorage, and we'll set you up with a program that will keep your imported SUV on the road and running strong!